This is a good Electronics and communication engineering seminar project report on Solar Power Satellite (SPS). It converts solar energy in to micro waves and sends that microwaves in to a beam to a receiving antenna on the Earth for conversion to ordinary electricity. The concept of a large SPS that would be placed in geostationary orbit was invented by Peter Glaser in 1968 and this concept is more advantageous than conventional methods and will be very helpful in meeting energy need in future. You can also Subscribe to FINAL YEAR PROJECT'S by Email for more such projects and seminar. 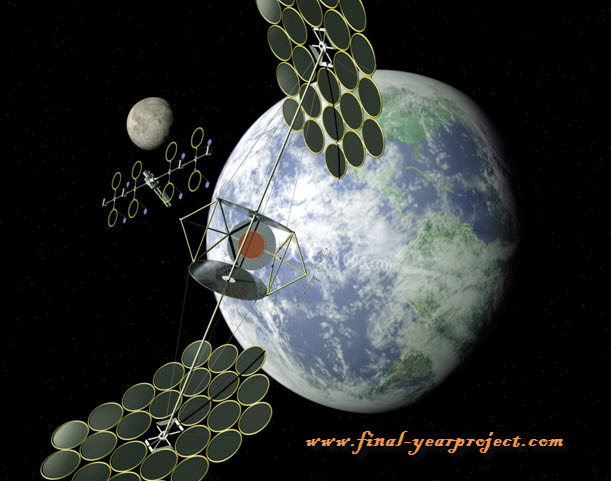 Solar power from the satellite is sent to Earth using a microwave transmitter. This transmission is transmitted to the relevant position via an antenna. The transmission is transmitted through space and atmosphere and received on earth by an antenna called the rectenna. Use this report only for your reference and study work.